When it comes to business communications services, we can do it all. With the capabilities to do both offset and digital printing, you will find a complete range of products and services at your disposal, we can help you get your message out to customers, employees and vendors alike. Just Click here to go to our Advertising Specialties menue. Annual ReportsEvery organization needs an annual report. We will make sure that your annual report is high quality without the high price. We offer several different options that meet everyones budget. We offer different options that will meet every need and budget you may have. We can help design, produce and deliver all your organizations annual report needs. Call us today or send us an email at print@minutemanpress-dc.com and let us help you on your next project. BannersNeed to get your message our about your event? Banners are a great way to get your message across and Minuteman Press of Washington DC offers all types of vinyl banners for all your events and needs. Let us know what you are looking to get and we can find the best solution within your budget. We offer all kinds of sizes and materials to make sure your message gets seen. Call us today or send us an email at print@minutemanpress-dc.com and let us help you on your next Banner project. Big Color Posterswe offer state of the art high quality wide format that will print your image at 2400x2400 dpi on our HP large format printers, making sure to get quality and detail. Posters are great for conferences, celebrations or anywhere else where you need to get your message across. We offer posters in many different sizes and can print on several kind of media. Call us today and let us know about your event and one of our customer service reps can help you in choosing the best solution for your budget. Black and White DuplicatingOur duplicating department is equiped with only state of the art Xerox machines, making sure all your images are printed in quality to your satisfaction. We print all materials at a 2400x2400 DPI making sure that all your images are produced at the hight quality possible. We produce a lot of conference materials and can deliver to your place of meeting for at no charge to you. Call us today or send us an email at print@minutemanpress-dc.com and let us help you on your next printing project. BookletsWe offer many different layouts for booklets, making sure it meets all your printing high standards. Whether the booklet is for a conference or in house purposes we will make sure you are completely satisfied with your product. We can help in everything from design to completion and with our full in house bindery capablity, we can be sure to put all the necessary finishing options to make your booklet projects memorable. Call us today or send us an email at print@minutemanpress-dc.com and let us help you on your next booklet project. BrochuresBrochures are items that every organization needs. We offer different options on color, paper and process to make sure it looks great and meets your budget. We can help design or improve a pre-designed brochure to make sure you get the best return on your product. Call us today so we can show you all the things possible for your next project. Bumper StickersClick on here to proceed to our Bumper Sticker page. Look at the different options available. Business CardsBusiness cards are a must that every professional needs to have. Whether you already have your design or you would like to work with one of our graphic designers to creat it, we can make sure that your cards are done in a top quality manner at affordable prices. Call us today or send us an email at print@minutemanpress-dc.com and let us help you on your next project. Business FormsBusiness forms are a standard item that we offer organizations. They can be customized to include all your business needs. Call us today so we can show you all the things possible for your next project. CalendarsCalendars are a very hot item in the second half of any year. We produce a lot of custom calendars making sure the end user has a terrfic piece to look at all year long. Call us to day and let us help you to work on your next Calendar project. Carbonless FormsCarbonless forms are generally done in 2,3,4,5 and 6 part. We do a lot of carbonless forms especially for businesses and government agencies. We can creat a custom form to make sure it suits all you organizations needs. Call us for your custom carbonless forms. 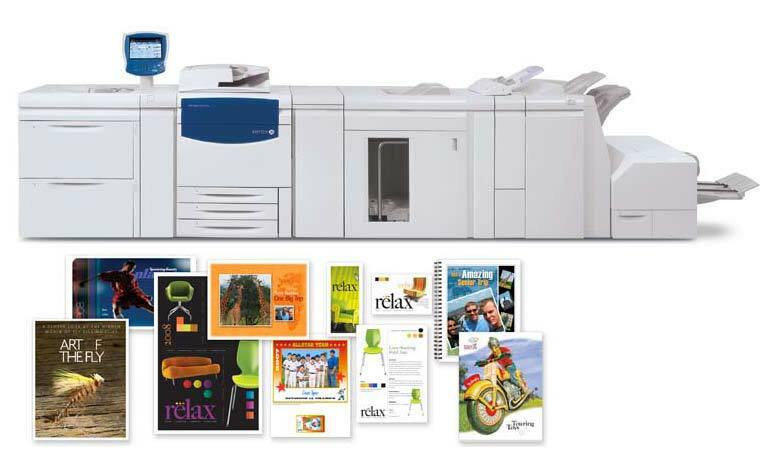 Color Copies and Digital outputMinuteman Press only carries the latest state of the art Xerox equipment. Making sure every image prints out at 2400x2400 dpi. With the ability to print 400 copies a minute, there is no reasonable deadline that we can not meet. We can handle documents that range from thousands to millions of impressions and have been doing it for over 30 years. Call us today or send us an email at print@minutemanpress-dc.com and let us help you on your next color project. Continuous FormsWe can produce continuous forms in many different format and sizes. Give us a call and let us know what you would like to create. CouponsWe print many different size coupons. we can print tracking numbers and barcodes to make sure they meet all your needs. Coupons are a great way to promote your business, we can do it in a way that will help you track your returns. call us today or send us an email at print@minutemanpress-dc.com and let us show you what we can do. Digital OutputUsing our FTP site located on our website you can send us any size file for digital output. All printing will be done at 2400x2400 dpi on one of our many xerox machines. Direct Mail We print a variety of products that are used for direct mail. We stock a large variety of envelope sizes and colors. We print postcards, flyers, letters, self-mailers, business reply cards, or anything else that you need to put into the mail. We complete the project by either using your mailing list or procuring a mailing list using your specifications and addressing the printed pieces plus applying barcodes and sorting for maximum postal discounts. We have our own indicia that we can place on your printed item to receive any discounts available from the post office. All mailings are taken to the postal facility. Call us today or send us an email at print@minutemanpress-dc.com and let us help you on your next Mailing project. EnvelopesWe print 1,2,3 and 4 color envelopes and offer many different sizes. We have recycled stock and can use soy based ink. We have offset presses to make all inks match your exact specifications.Call us today or send us an email at print@minutemanpress-dc.com and let us help you on your next Envelope project. FlyersWe print any flyer you may need whether it consists of just 1 color to full color. We can also help with all the design necessary. We offer a lot of choices for stock and make sure it meets all your needs keeping the cost within budget. Call us today or send us an email at print@minutemanpress-dc.com and let us help you on your next flyer project. Holiday CardsWe offer a great variety of preprinted cards. We can customize them by adding your information into the cards. We can also do all the mailing necessary after you give us your mailing list. Index TabsWe can print custom tabs into booklets and binders. we can take your information and customize it so it fits well into your publication. we can often do this for the same price you would pay for a generic tab. Call us today or send us an email at print@minutemanpress-dc.com and let us help you get started on your next custom tab project. InvitationsWe can design and produce invitations for weddings, graduations, or other events. Ask to see our sample catalogs or we will create something from scratch. Call us today or send us an email at print@minutemanpress-dc.com and let us help you on your next invitation project. LabelsWhether you need mailing labels, price tags, or reusable static labels, we can help. We can produce labels of various shapes and sizes that adhere to almost any surface indoor and outdoor. Call us today or send us an email at print@minutemanpress-dc.com and let us help you on your next Label project. LetterheadWe can design and print letterhead that incorporate your personal or company identity. These can range in format from basic black & white to impressive, colorful designs. We can also create a corporate identity package for you, with an integrated system of business cards, letterhead, and envelopes. Call us today or send us an email at print@minutemanpress-dc.com and let us help you get started on your next letterhead project. Litigation CopiesBeing our location is in downtown DC, we do a lot of litigation copying. We will work with your timeline and your budget to make sure everyone is happy. Call us today or send us an email at print@minutemanpress-dc.com and let us help you on your next project. ManualsOrganizing your information into a manual is an effective way to communicate with your audience. You can incorporate everything from basic black and white copies to full-color inserts and transparencies to custom designed index tabs and binders. Manuals are a necessity in every organization, so call us today or send us an email at print@minutemanpress-dc.com and let us help you on your next project. Membership BookletsWe print membership books for a variety of clubs, schools, non-profit organizations, and religious groups. Sizes vary from small booklets that fit into your pocket to sizes exceeding 11" x 17". We offer a variety of cover stocks. We can do allt he graphcis for the booklets from scratch or take your information on disk or via FTP. Call us today or send us an email at print@minutemanpress-dc.com and let us help you get started on your next booklet project. Memo PadsWe can create memo pads customized with names, company information, or personal messages of any kind. We offer different sizes and can meet any budget. MenusThe look of your menu says a lot about your business. From your ideas and business image, we can design an eye-catching menu that does your product justice. We can also keep an electronic copy of your menu on file to make it quick and easy to update. Call us today or send us an email at print@minutemanpress-dc.com and let us help you on your next Menue project. NewslettersWhether you have camera-ready art or rough sheets of handwritten content, we can help you create and produce newsletters that meet your objectives. Newsletters are more popular then ever as everyone has noticed that an emailed newsletter will mostly likely get deleted. A hard copy can still be carried around and taken places. As popular at the web has become, it still has not been able to replace a hard copy. Call us today or send us an email at print@minutemanpress-dc.com and let us help you on your next Newsletter project. Note PadsWe can create memo pads customized with names, company information, or personal messages or any kind. Memo pads are a great way to get your company name out. Call us today or send us an email at print@minutemanpress-dc.com and let us help you on your next memo pad project. Overhead TransparenciesOverhead transparencies can be produced from virtually any document, black and white, or full-color. Bring us an original or your digital files and we can produce high-quality transparencies. Although not as popular as they used to be, overhead transparencies do still exist. Personal StationeryWe can design and print personal stationery in either standard business size or monarch size. We offer a wide variety of paper stocks and have many sample designs to choose from. We also carry matching business cards to complete the look. Post CardsPost cards are an inexpensive way to reach your audience. They can be anything from simple black and white meeting reminders to a full-color marketing piece. We offer a wide variety of stock options and can even do all the mailing for it. Saving you a pretty good amount on postage. Call us today or send us an email at print@minutemanpress-dc.com and let us help you get started on your next post card project. Post-It NotesWe can produce Post-It® Notes of all sizes and colors, customized with your personal message. We offer all varieties, from small, square pads to large, multi-color cubes. Click on here to go to our Post-It Notes page. PostersWe can design and print full-color posters in virtually any size. With state of the art HP wide format printers, all your projects will be printed in 2400 dpi's. We can also mount and laminate your piece to give you a high end look to it. Price ListsPrice lists don't have to be boring or basic. We can produce informative, eye-catching price lists that reach your target audiences and get an immediate response. Call us today or send us an email at print@minutemanpress-dc.com and let us help you on your next project. Procedure ManualsOrganizing your company information into a manual is an effective way to communicate with your staff or clients. You can incorporate everything from basic black and white copies to full-color inserts and transparencies to custom designed index tabs and binders. Call us today or send us an email at print@minutemanpress-dc.com and let us help you get started on your next Manual project. Product SheetsProduct sheets can make a major statement to prospective clients. Using your descriptions and images, we can create effective, high-quality product sheets that speak to your target audience and get results. Call us today or send us an email at print@minutemanpress-dc.com and let us help you on your next printing project. ProgramsWe can create programs that commemorate your special event, from weddings and anniversaries to banquets and conferences. These can range from traditional, one-color formats to impressive, full-color designs. We can also produce programs for sporting and other continuously scheduled events. Call us today or send us an email at print@minutemanpress-dc.com and let us help you on your next Program project. Property ListingsProperty listings are your opportunity to make a first impression with prospective clients. Using your descriptions and images, we can create property listing sheets that communicate effectively with your audience and make a lasting impression. Call us today or send us an email at print@minutemanpress-dc.com and let us help you on your next project. ProposalsWe can develop, design or reproduce proposals of any nature or size. Just bring your concepts, mockups, or camera-ready originals, and we'll produce proposals that make a lasting impression. Reply CardsWe can create a variety of documents designed for client response. These can include perforated cards that easily separate from your mailer, or larger return envelopes secured within your document. Call us today or send us an email at print@minutemanpress-dc.com and let us help you on your next project. Report CoversWe can produce report covers in any color or size. These can be printed in a single ink or professionally embossed or foil stamped to create a lasting image. Additional options include business card slits and printed pockets. ResumesWe can design a professional resume and print it on impressive premium papers with envelopes to match. We can also design cover letters and address labels that will add to the quality of your resume package. Rubber StampsWe can produce rubber stamps of various sizes and formats, including return addresses, corporate logos, signatures, and other professional uses. StationeryWe can design and print stationery that incorporates your personal or company identity. Formats can range from basic black & white to impressive, colorful designs. We can also create a corporate identity package for you, with an integrated system of business cards, stationery, and envelopes. Call us today or send us an email at print@minutemanpress-dc.com and let us help you on your next project. SurveysUsing your mailing lists or external consumer lists, we can create variable-data mailings from personal letters to invoices and surveys. We can handle lists of any size or format. We can also create and customize lists for you. 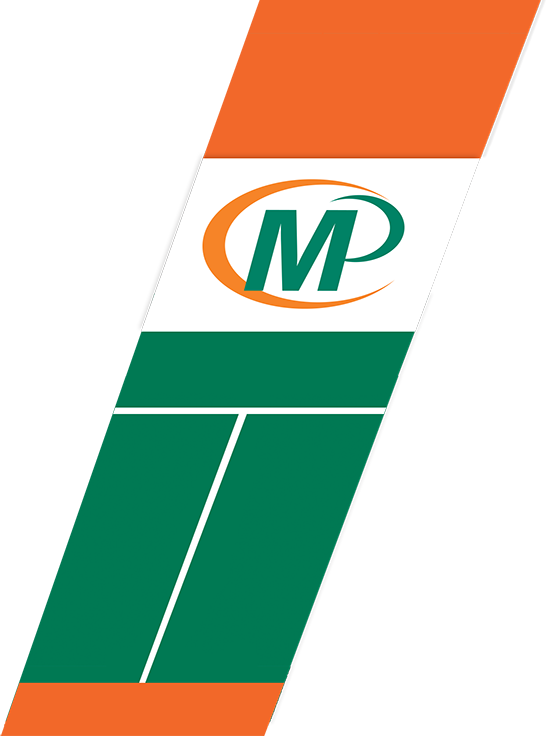 We work with several government agencies and local school systems creating all kinds of surveys.Call us today or send us an email at print@minutemanpress-dc.com and let us help you on your next project. Three-Ring BindersDo you have a conference coming up and would like to have some personalized Binders? With the right planning, we can design and create a custom 3 ring binder. We can also reproduce the inside and deliver it right to your conference sight. Call us today or send us an email at print@minutemanpress-dc.com and let us help you get started on your next three ring binder project. Training MaterialsFrom transparencies and worksheets to full-scale manuals, we can produce materials that strengthen your training program. We offer many different choices to help you get the most out of your training materials. Call us today or send us an email at print@minutemanpress-dc.com and let us help you on your next trainining project. TransparenciesOverhead transparencies can be produced from virtually any document, black and white or full-color. Bring us an original or your digital files and we can produce high-quality transparencies. Wedding InvitationsWe can create a memorable image for you wedding with an integrated system of wedding programs, invitations, reception cards, napkins, and much more. You can choose from our sample books or have our design department create a customized look from scratch. Coil BindingCoil Binding is a very comon type of binding mostly chosen for its sturdiness. Once the document has been bound, it is very difficult to take it apart. coil binding is one of the most popular binding availabe. Color CopyingColor copying is an impactful, cost-effective alternative to full-color printing at lower quantities. Just bring us your originals and we can create multiple, faithful reproductions in quantities from 1 to 10,000. Color DuplicatingColor copying is an impactful, cost-effective alternative to full-color printing at lower quantities. Just bring us your originals and we can create multiple, faithful reproductions in quantities from 1 to 1,000.